Commercial electrical installations require a great deal of electrical design, as well as architectural planning. 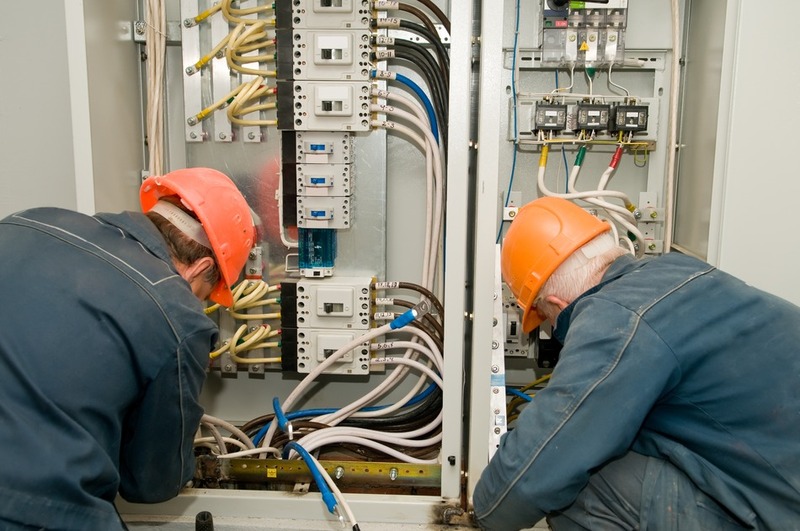 With our years of of experience and expertise working with commercial installations, we are able to plan Commercial Electrical Installations that give you low maintenance, trouble free service for years to come. We will design, install, balance and finely adjust the electrical installation to your exact needs. Clients we have designed, built and maintained commercial installations for include, offices, schools and factory units, etc.. Emergency Lighting, Security Lighting, Lighting Design & Control. LED lighting designed and installed. Electrical testing and inspections, e.g. PAT testing. A Domestic Electrical Installation requires expert electrical design, based on its usage. So whether you’re a landlord providing rented accommodation and heavy duty usage, a basic student room or you own your own home, wanting the latest technology such as Home Networking, Streaming Music & Games, Computerised Lighting or even Under Floor Heating. We have the experience and expertise that will ensure you or your tenants will have years of trouble free usage of the Domestic Electrical Installation, designed and built for you. Lighting upgrades and LED lighting. Electrical extensions and new power point socket fittings and installations. Electric fuse box replacements and installations. Mains wired and interlinked fire alarm installations. Part P Building Regulations compliant. My partner and I recently had a full house rewire carried out by Adam. I was extremely pleased with the work carried out. Adam was always very aware of our requirements and went out of his way to ensure work was completed to a high standard. I was also impressed to find that Adam kept all areas of work clean and tidy after a day’s work. I would highly recommend Adam as a reliable electrician with a dedicated work ethic. If you would like us to ask us a question, please complete your details in the boxes below and one of our expert electricians will respond. Please read the image above and input the letters and numbers in the box below, to be certain you are a human and not a spamming robot.